There’s a lot of money to made online through search traffic and ads. And whenever there’s a lot of money to made, there will always be people trying to cheat the system. When it comes to SEO and link building, trying to cheat the system only produces temporary gains because Google and other search engines are always updating their algorithms to detect and punish cheaters. Last week, Google began targeting websites that were a part of Private Blog Networks or PBN. Sites using PBN tactics are being being penalized on Google. This post will explain what Private Blog Networks are and the recent action by Google against them. Despite the terminology, PBNs aren’t private. The pages on these sites are indexed and available to the public. PBNs are groups of websites where the content comes from the same person or small group of people. The multiple websites are used to feed links to one another to artificially increase their PageRank. The sites are private in that the content comes from a single content producer and that the content isn’t meant for the public, but for search engine algorithms. As we noted when explaining Google’s policy on Guest Posts, Google is targeting websites that are taking actions solely for the purpose of manipulating search algorithms. Many of these PBNs have shallow, copied, or artificially produced content that only serves SEO purposes. Google, presumably, wouldn’t have a problem if one content producer ran 12 sites as long as the content was legitimate. The news has hit the active community of PBN users pretty hard. There are some webmasters who have made this tactic the backbone of the SEO strategy. Though some aren’t ready to throw in the towel. 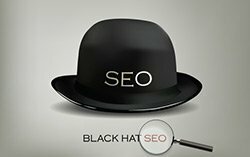 Unfortunately, like many SEO tactics that have become Black Hat, some webmasters may be using PBN tactics and not even realize it. For example, one entrepreneur could easily have multiple businesses, each with it’s own domain and website. If those sites linked to each other, and used a lot of copied content, they could be flagged by Google as being a PBN. As always, the best way to secure a site against penalty from Google is to have a lot of good, well-written, original content. Google isn’t targeting sites that don’t use SEO perfectly, it’s targeting sites that are trying to use their understanding of SEO to cheat the system. Also, Google usually isn’t targeting sites that make one mistake (unless it’s one big mistake). But if a site has a pattern of publishing shallow content, creating SEO gateway pages, or using improper link building strategy, then the site is going to get penalized. All of this serves as a reminder for why business owners should have their site’s SEO checked every so often. The best practices and tactics change often, and a website that hasn’t been properly updated in a couple of years or longer, may be getting penalized and the site owner not even know it. For more examples of practices that are no longer acceptable, read this article on Google penalties for link network users.